Hooray for Kanye? West divides opinion Jump to media player US rapper Kanye West delivers his anticipated Glastonbury festival but his performance has divided opinions . Kanye West jumps in lake during gig Jump to media player Rapper Kanye West is mobbed by fans after jumping into a lake during a gig in Armenia. 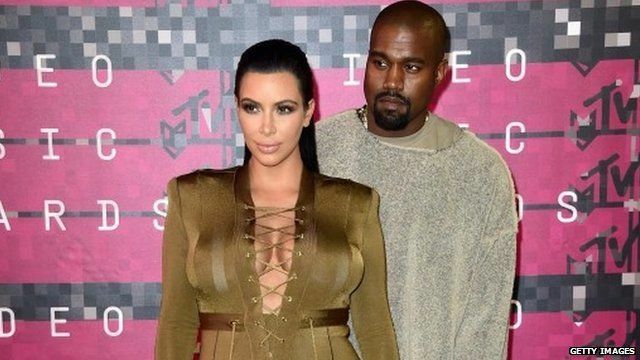 Kim on mixed race relationship abuse Jump to media player Kim Kardashian tells Newsbeat she gets regular abuse for being in a mixed race marriage with Kanye West. It is not clear exactly how serious the rapper was being and he appeared to confess to smoking cannabis before taking the stage.